Celebrate the 4th of July in Truckee! 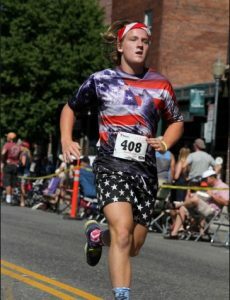 Truckee is a pretty amazing place to celebrate Independence Day! The whole town gets into the spirit of the holiday with festive decorations and fun things to do. 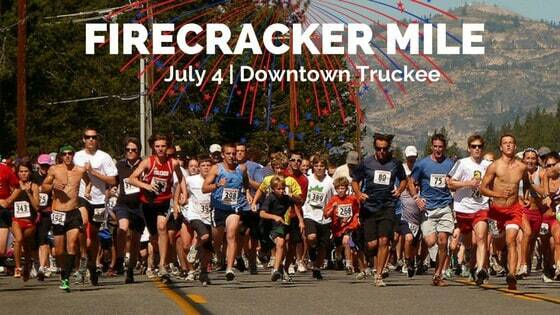 Start your 4th of July off right with the Firecracker Mile and Parade before enjoying fireworks later that night. 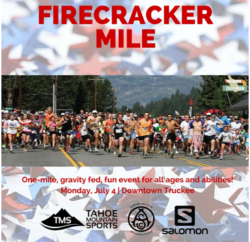 The Firecracker Mile is a long standing Truckee tradition so you can get in a bit of adrenaline pumping fun before chilling out for the parade and a sun filled day of barbecues, beer, and beach play while waiting for the grand finale – the fireworks. 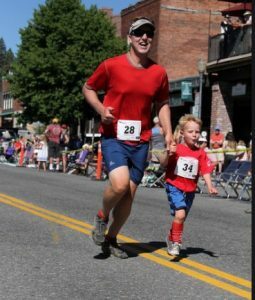 This run is great for families, young kids, high school kids, college kids, active grandparents, friendly dogs on leashes and competitive types who want to see how fast they can go! This year the race will be chip timed by Big Horn Racing. 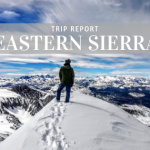 Register online now or at Tahoe Mountain Sports in Truckee from June 29th – July 3rd at 4:00 pm. Tahoe Mountain Sports will have kiosks in the store, there is no paper registration for this race, so don’t hesitate to register from home and just head to the store to pick up your bib. 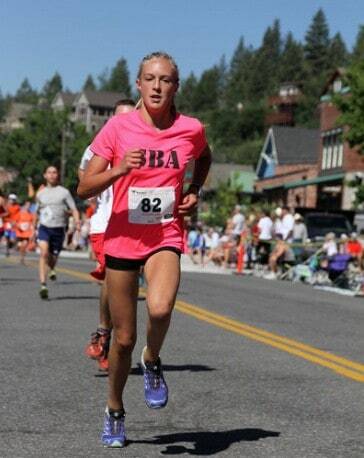 Starting June 29th all online registrants can pick up their bibs at Tahoe Mt. Sports. Day of registration is from 8:00 am to 9:15 am at the parking lot across from US Bank (10995 Donner Pass Rd). Bib pick up will be available on the 4th from 8:00 am-9:30am at registration. Register in person starting June 29 at Tahoe Mountain Sports. 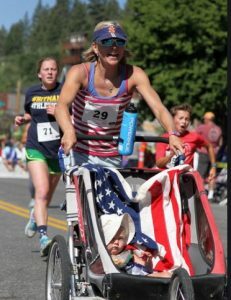 The run follows the Truckee parade route from US Bank to the Train Depot along Donner Pass Road. Runners are cheered by thousands of parade spectators! Be sure to arrive early as parking is limited. Elite Wave Start 9:45am: This is for any serious runners. Anyone can self select into this wave, however, there are no strollers allowed in this wave. Runner Wave: This is the bulk of the racers. This event will go off 2 minutes after the elite wave. Family Fun Wave: Any families, young kids, strollers, people that want a few more minutes at the start line should choose this wave. They will leave 1-2 minutes after the runner wave. Participants can choose their own wave! 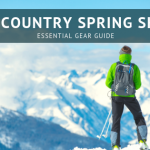 Register in person at Tahoe Mountain Sports (11200 Donner Pass Road, Truckee) June 29 – July 3 from 10 am – 6 pm and receive 10% off any full price item over $50 at the time of registration. Race cost ranges from $10-20 and all proceeds benefit Auburn Ski Club kid’s nordic programs. Check-in takes place in the parking lot across the street from US Bank (10995 Donner Pass Rd, Truckee, CA). Anyone 18 & under needs to have a waiver signed by a parent to participate. The waiver can be downloaded and printed here. Please arrive no later than 9:15 to pick up your bibs. Truckee is very busy on race morning, so allow time to find parking and walking to check-in/registration. Please note: roads around the check-in station are closed off to thru traffic by 8:30 am! The Elite Wave will start at 9:45; Fun Wave 1 will start about 5 minutes later at 9:45 and Fun Wave 2 (including “day-of” entries) will start at 9:55 am. The fun wave 2 is for families with strollers. Firecracker Mile water bottles and water will be available at the end of the course for all participants. The run is a fundraiser for The Auburn Ski Club’s Youth and Junior Programs. Immediately following the Firecracker Mile is the Truckee parade. 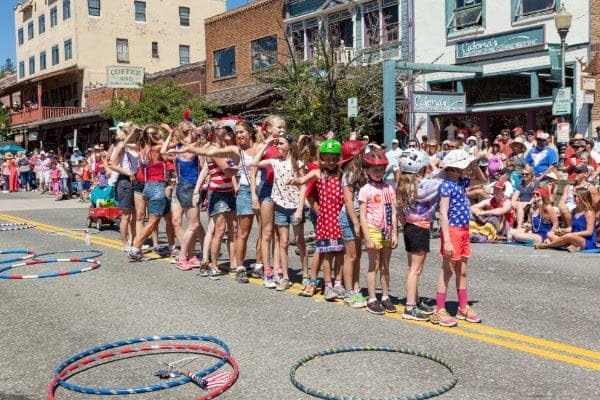 An exciting 4th of July tradition — the Truckee parade is a quintessential display of small town Americana. This festive and fun-filled event is always a favorite. This years theme is Base Camp for a big life and you’re sure to see some interesting floats and get a glimpse into the Tahoe lifestyle. The parade starts at the Truckee High School and winds along Donner Pass Road to Historical Downtown Truckee and ends at the corner of Bridge and Church Street. Note the road will be closed to traffic from 9:30AM till after completion of the parade. Click here for more information and a map of the parade route. 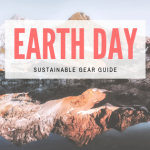 Stop by Tahoe Mountain Sports if you need any gear for camping, backpacking, hiking, swimming and more! We’re here to help you get outside and have fun!